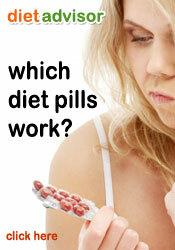 diet pills are a “dime a dozen” says the official website of Adapexin-P. The producers also keep to highlight that other diet tablets promise much more than they actually deliver in terms of expected results. The manufacturers also suggest that Adapexin-P is the best diet tablet of 2011 – it would be interesting to know who bestowed this accolade. Adapexin-P is a unique combination of 8 diet ingredients that can suppress appetite and also burn fat. The ingredient of most interest is Phenylethylamine – the manufacturers claim that it is a substance that is related to our own catecholamine neurotransmitters and their amino acid precursors, tyrosine and phenylalanine. Not for the want of trying clinical data seems conspicuous by its absence. The other ingredients are pretty standard and found within several if not dozens of other similar slimming pills that are produced in the United States. There does not appear any side effects that have documented. Although you should be aware that Adapexin-P has a high caffeine content and so could cause potential issue such as nausea, headache, palpitations and dizziness. The UK high street presently does not have any official retail outlets. If you do wish to buy then online via the official website would be the most sensible option. Extremely hard to give any sort of recommendation to considering the current lack of clinical data, consumer success stories and testimonials. There are a handful of diet products that should be considered over and above Adapexin-P.